Store your precious necklaces, bracelets, rings and other valuable jewelries in elegant organizers. 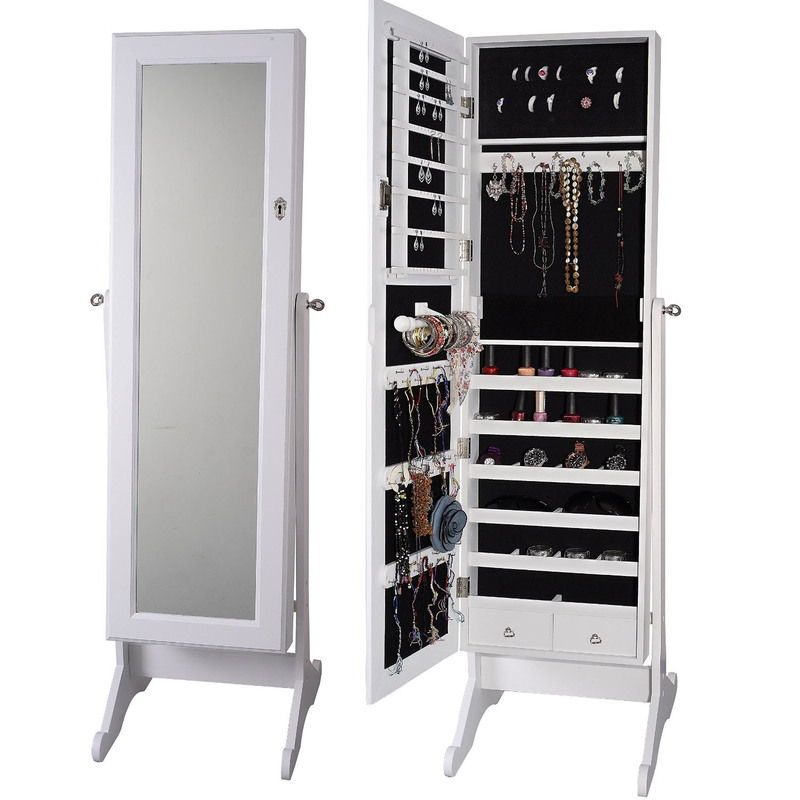 A jewelry mirror armoire doubles as a standing mirror. It’s perfect for your bedroom and also serves as a piece of decorative furniture. They can be standing mirrors or as over the door hanging cabinets with locks.